Norm in the Fall 1997. Aniques and The Arts Weekly photo by R. Scudder Smith. LINWOOD, N.J. — Norman Faust Schaut, advertising man and notable antiques show promoter, passed away peacefully at his home with his devoted wife and son at his side on February 11, 2019. He was 86 years old. Although he had many interests and marketing achievements, he is probably best-known as the founder of the well-regarded Atlantique City Antiques Show, New Jersey’s largest and longest-running indoor antiques show. The son of George Gustavus Schaut and Anna May Faust Schaut, Norman was born and raised in Philadelphia, where he attended Penn Charter High School and later the University of Pennsylvania, where he earned a degree in journalism. Over his long career, Norman drew upon his many creative and entrepreneurial talents in marketing and promotions. He traced his earliest passion for marketeering to his grandparents’ store on the Ocean City boardwalk, where as a young boy he delightedly sold disappearing coin magic tricks to tourists. His talents led him to spend his college summers working for the traveling Ringling Brothers and Barnum & Bailey Circus in the early 1950s. Later in life, Norman would reflect on those days with the circus as some of the most interesting and rewarding of his life. 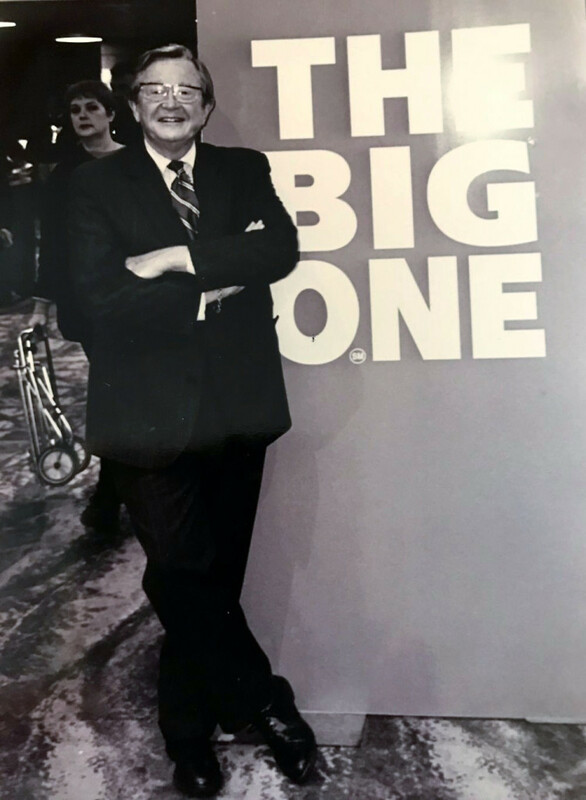 After college, he launched a successful career in advertising with the New York City firm Benton & Bowles, where he oversaw the development and production of many recognizable brand name marketing campaigns. After many years in the industry, he struck out on his own and became a serial entrepreneur, creating companies that reflected his personal interests and passions. Drawing on his love of antiques and collectibles, he went on to develop and promote the Atlantique City Antiques Show. Norman and JoAnne, his beloved wife of 25 years, were very active in local charitable organizations. Together, they produced the Ocean City Arts & Crafts Show, which brought crafters from all over the United States to the town to sell products with the goal of raising funds for local charities and benefit groups such as the Ocean City Food Cupboard and the Atlantic City Rescue Mission. Strong supporters of local and regional arts and entertainment, they were involved in the Miss New Jersey Pageant, the Ocean City Music Pier and the Ocean City Pops. Norman is survived by JoAnne; his children, Julie Schaut and Gary Schaut; Julie’s children, Anna, Blake and Cole; and his stepdaughters, Jennifer Daniel (and her children, Alden, Alexander and Claire) and Beth Wray (and her children, Victoria and Erica). His funeral service took place on February 19 at St Peter’s United Methodist Church. Burial followed in Seaside Cemetery, Palermo, N.J. The family thanks friends and asks them to consider making a donation to Holy Redeemer Home Care and Hospice Service of EHT or the Humane Society of Ocean City.